Do you want to improve your wireless network performance with all the advantages of 802.11ac without breaking the bank? Aruba’s 300 series access points are the perfect solution for getting into 802.11ac with ease. 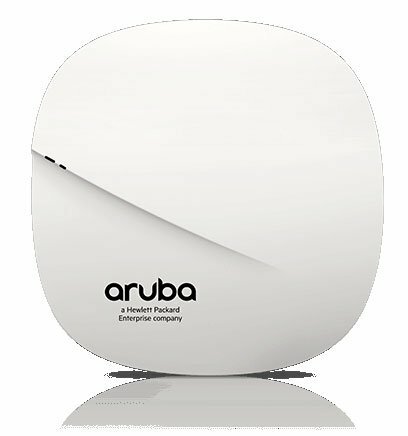 The entry-level Aruba 300 Series Wave 2 access points deliver high performance and superb user experience for medium density environments. Featuring 3×3:3SS MU-MIMO capability, Aruba advanced ClientMatch radio management, and integrated Aruba Beacons, the 300 Series enables an all wireless digital work environment in a cost effective manner. With a maximum concurrent data rate of 1,300 Mbps in the 5GHz band and 400 Mbps in the 2.4GHz band (for an aggregate peak data rate of 1.7Gbps), the entry-level 300 Series brings an always-on wireless network experience with the performance required for enterprises. It is ideal for cost sensitive medium density environments across verticals. Everyone wants to get the most out of their wireless network and provide reliable service that isn’t a bottleneck in any application. From the warehouse floor to access for your customers, a faster, more capable network is essential to any business. As wireless technology continues to improve the changes can be hard to keep up with. Many networks today are based on 802.11n which have been a larger improvement from previous Wi-Fi standards but 802.11ac is the next big step. In essence, 802.11ac is a supercharged version of 802.11n. 802.11ac is dozens of times faster, and delivers speeds ranging from 433 Mbps (megabits per second) up to several gigabits per second. 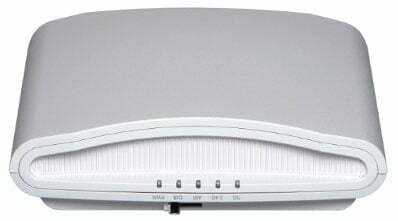 To achieve that kind of throughput, 802.11ac works exclusively in the 5GHz band, uses plenty of bandwidth (80 or 160MHz), operates in up to eight spatial streams (MIMO), and employs a kind of technology called beamforming that sends signal directly to client devices. This convenient infographic helps illustrate all the capabilities 802.11ac provides and how is can improve your wireless experience. For more help finding the right access points and controllers to migrate to 802.11ac contact one of our wireless specialists. Ever increasing demand to support more mobile devices and applications, as well as customer engagement, redefines the network year after year. Jump to the front of the line with the new Zebra AP 8533. This innovative access point features true 802.11ac Wave 2 capabilities and Zebra Triple Sensor technology to support your growing business and customer needs. Personalize the shopping experience with Bluetooth Low Energy (BLE) beacons, secure the network from existing and new threat vectors, and deepen network visibility of applications running over your wireless LAN. With AP 8533’s advanced capabilities, you can prevent “upgrade fatigue”. 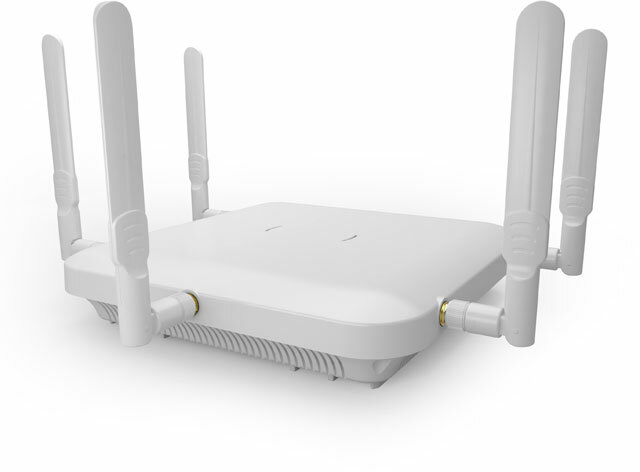 Zebra’s true 802.11ac Wave 2 access point, along with the high-density optimization in WiNG 5, maximize the value of MU-MIMO for high-density networks. The AP 8533 supports hundreds of wireless clients and concurrent transmissions critical for any enterprise. Wireless access has become such a common utility today that businesses and customers find it strange when basic Wi-Fi isn’t available or not capable of supporting many of the apps we use on a daily basis. With the constantly evolving wireless standards, choosing the right access point can be the difference between getting reliable and consistent service or a world of frustration. Motorola is a leading manufacture of access points and its current product line provides the most current capabilities like 802.11AC, advanced security options, and designs for outdoor, warehouse, and even retail applications. This infographic is a quick overview of the various access points Motorola produces and their key features.